Given the too close to call situation of Group A, the final game of the group stage of the SAFF Suzuki Cup 2018 between Pakistan and Bhutan is set up to be an all-out-attack affair. 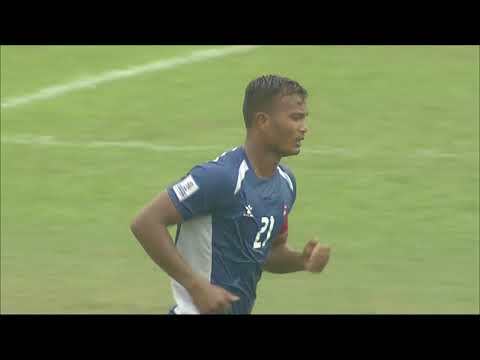 Pakistan dropped to the third spot after their loss to Bangladesh and were overtaken by Nepal after Bal Gopal Maharjan's team defeated Bhutan 4-0. Pakistan will need to go for all three points against their opponents Bhutan and hope Bangladesh beat Nepal. Bhutan need the three points, a Bangladesh win and on top of that, overturn a deficit of six goals to progress to the semifinals. "We need to do the best; we need to prepare well against Bhutan. The home team will be playing against Nepal, and we hope the result is the best for Pakistan," said the Pakistan Head Coach Jose Antonio Nogueira. "It is difficult to recover in just one day after a tough game. It is not enough if you want to play good international football. Our officials are working hard to ensure all the players can recover, in case there are small injuries. I am confident that all the players will do their best to win the important Bhutan game," said Pakistan captain Saddam Hussain. Bhutan will go into the game sitting at the bottom of Group A with 0 points and a minus-six goal difference. To make things even more difficult, the Dragon Boys will be without defender Mipham Jigme who got injured in the game against Nepal. "It's a young team, a team's that's not been together before, but there are some encouraging signs. We look more dangerous going forward and look solid in the back. But if players switch off against good players, we get punished," said Bhutan Head Coach Trevor Morgan after the game against Nepal. "We are moving in the right direction, but it is very unlikely that we will progress to semi-finals in the tournament. But we will try beating Pakistan, and there will be no letting up from us. We owe that to the teams that are looking up for the top two spots," he added. Pakistan and Bhutan have met just once previously in the SAFF Suzuki Cup, with Pakistan picking up the victory in a 2009 group stage game (7-0).